Find the riding saddle with the best quality at the best price is not easy. A saddle is by definition an object that is expensive because its production requires quality materials and professional expertise. Someone doesn't turn into a saddler just like that. The saddler designs, manufactures, services and repairs all leather items that can be used in the practice of equestrian sports. His activity is increasingly handicraft art. To be hired in workshops qualities, he must be among the best, and combine technical skills with some almost artistic sensibility. It is thanks to such saddlers we just talk about that saddle manufacturers in France are among the best in the world. They use noble materials, in particular leather. - Cow leather. This is the rigid leather we use to make saddle flaps, skirts, and saddle panels, which can be smooth or embossed. Vegetable tanning leather can give some resistance to wear and friction, and serves primarily to maintain the entire thickness of the leather. 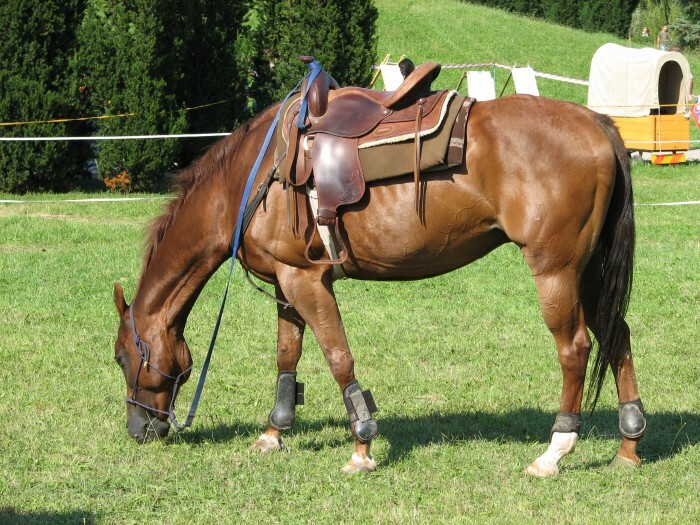 For equestrian use, it is essential that the leather is full grain. - Calf leather. Flexible premium leathers are the calf. The big tanners are just the bull, since this is the requirement of good saddlers. This leather is then used for flexible parts: the seat, knee pads, the dressing of panels. - Chrome-tanned leather : a rigid leather, full chrome complexion. It is extremely resistant to stretching. It is used mainly for two things: tabs, which will undergo the pull of the girth and the stirrup straps. Besides working leather and leather quality, there is the know-how of large saddlers that make French saddles are very good seats. Devoucoux, Antares, Bruno Delgrange, Butet, Hermes, etc. With Equitack, you can offer the French quality at the best price because Equitack saddles are fine used saddles. And they are less expensive than new.